TBWA Melbourne has won the $4.95m South Australian Tourism Commission creative account over 35 other agencies, including incumbent KWP which previously held the account for 20 years. The win, however, has caused a stir in the local Adelaide market, with agencies labelling it “an absolute disgrace” and saying the appointment makes the city “the laughing stock of the Australian advertising industry”. Mumbrella understands TBWA will open an Adelaide office and service the account from both Adelaide and Melbourne. The shortlist included five agencies – four interstate agencies and only one Adelaide-based agency, KWP and Mumbrella understands TBWA Melbourne will lead the account. KWP’s contract expires with the SA Tourism Commission on June 30 this year. The local industry has hit out at the win, with the Adelaide Advertising and Design Club sending out an email labelling the account move as “an absolute disgrace”. “In its entirety, the SA government is the largest advertising client in the state. If taxpayers’ money continues to be sent east, it will adversely impact hundreds, if not thousands of livelihoods and supercharge the brain-drain,” the email stated. The AADC said the appointment by the Melbourne agency was “adding insult to the injury” as Adelaide has now become “the laughing stock of the Australian advertising industry”. “The reality is, all the strategic and creative work will be done interstate and that’s where the profits will go. In a statement provided to Mumbrella, a spokesperson from the South Australian Tourism Commission, said: “The procurement process was undertaken in accordance with the State Procurement Board guidelines and the market approach was an open Request for Tender (RFT). “Five agencies were short-listed from a total of 35 who submitted entries and were initially evaluated by the panel facilitated throughout by an in-house Procurement Consultant. “Four of the five agencies shortlisted were based interstate, with the incumbent KWP being the only Adelaide based agency. “The SATC has appointed TBWA as the lead global agency for creative services, following this rigorous State procurement process. Alongside TBWA, Adelaide agencies Blacksheep, Fuller and Showpony have been selected to work with the Tourism Commission on a project-by-project basis for campaigns targeting other Australians. “We thank the KWP team for their hard work and commitment and wish them all the best for the future. We have shared many wins with KWP along this 20-year journey. The campaigns designed by KWP have been instrumental in our journey to a $6.6 bn visitor economy. “The 2020 tourism target of $8bn calls for a fresh perspective and some disruptive strategies which we believe TBWA is best placed to deliver,” the spokesperson continued. The SA Tourism Commission opened the tender for its creative account in November last year for an initial two year-contract period, with the opportunity for the successful agency to extend the contract for another two years. TBWA has been approached for comment. 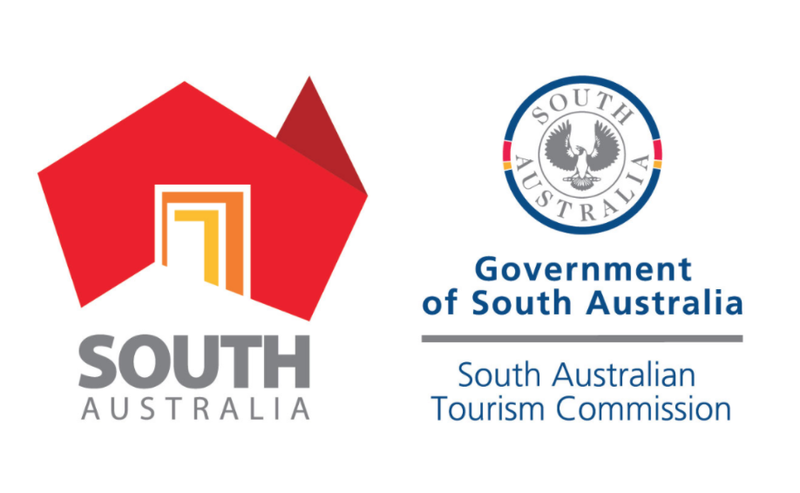 The decision by the state government to award the multimillion dollar advertising account for the South Australian Tourism Commission to an interstate company is an absolute disgrace. More alarmingly, this is just the tip of the iceberg. In its entirety, the SA government is the largest advertising client in the state. If taxpayers’ money continues to be sent east, it will adversely impact hundreds, if not thousands of livelihoods and supercharge the brain-drain. A yet to be named Melbourne agency was handed the jewel in the crown of South Australian government advertising accounts. You might remember how a local Adelaide advertising agency had the eyes of the world turned toward South Australia with globally lauded campaigns like Barossa. Be consumed. In their infinite wisdom, it appears the SATC has concluded only an interstate agency is now capable of such a feat. This of course, is utter nonsense. There are several highly capable, local companies that could have, and should have, been considered for such a lucrative account. It will be argued the successful agency will now open a local office, but renting office space and dropping a couple of people in it is little more than smoke than mirrors. The reality is, all the strategic and creative work will be done interstate and that’s where the profits will go. Local companies have been invited to tender for the ‘scraps from the Melbourne table’, under the direction of the interstate agency. Aside from the advertising agency personnel directly affected, the domino effect will be felt by many in the creative services industry the AADC represents. Graphic designers, artists, photographers, videographers, editors, audio engineers, film crews, producers and actors are an example of just how many local jobs will be under threat, while Melbourne bank accounts are swollen by the tax dollars collected from these threatened workers, and every South Australian. Adding insult to injury, if losing the revenue and creative opportunity isn’t enough, we’ve now become the laughing stock of the Australian advertising industry. The AADC, on behalf of its members, sponsors and the broader creative community it represents, will continue to fight this injustice and lobby for measures to be put in place to protect local jobs and stem the brain-drain. You can help, by sharing this release with colleagues and friends, by writing in protest to your local MP and encouraging your colleagues to do the same. And, if like us, you believe we need to grow and develop our industries instead of decimating them, become a member, committee member or sponsor to help your Club help you. The bigger our membership base, the louder our voice. TBWA must be desperate for business if they’ve gone into SA. Why would winning a lucrative state tourism account make you desperate? Are you trying to be funny? If so, you may need to try harder. Did the “lauded” campaign bring in tourism? Obviously not enough to hold onto the account. Local, State and Federal Governments have been giving large contracts to multi-nationals for decades, nothing new here. If the Adelaide agencies were good enough they would have won the tender, simple as that. Another example of why SA is half an hour and 10 years behind the rest of Australia, the insular attitude, nepotism and a chip on their shoulder, no wonder no one who wants a career outside of their school mates company wants to live in SA. Good luck TBWA, you deserve, it but watch out for the knives, they have already been sharpened, because heaven for bid no agency could be a good as a SA agency full of people who have never left the state. This is true to the core. Well said. And are we saying that no interstate Government should ever award a tender to a South Australian firm? Let’s only ever work within the state borders. Is that the way to grow the South Australian economy and “stem the brain drain”? Hi SA agencies if you’re so good just win the Tourism Australia tender. And prove your worth. I am soooo embarrassed for you writing this press release. It makes you look very insular. The states tourism is to important to the state to just leave it to agencies who happen to live in that state. KWP have done some brilliant work on the SATC account, and fended off many very heavy interstate agency challenges over numerous pitches, and it’s a shame for them. Hard to think of any other agency that has managed a state tourism account better or longer. @Zac you obviously don’t understand how govt pitches work. There’s very little equity in history a lot of the time. The AADC press release is embarrassing, and further cements the unfortunate perception held by many of Adelaide and it’s insularity. Come on guys enough is enough. This is why you have tenders to present a proposal that suits the client, in this case SATC. All agencies need to do better and offer a point of difference and bemore savvy. I haven’t seen a dummy spit like this since the time someone pointed out that cummins and partners had closed in South Australia. Talk about moaning & groaning & whinging when the decision doesn’t go your way…. oh and if you check I think you will find some (if not all) of those Adelaide agencies manage clients in other states. Surely a client is allowed to appoint whoever they want to based on who can deliver the best outcome that they are looking for. It’s not the loss of an account that has made Adelaide a national ‘laughing stock’, it’s that AADC press release. It’s shameful and embarrassing. Karma bides it’s time, always. I think the rest of their clients should go to TBWA too, personally.